Salesforce seems to be on the right track. Sales, marketing and customer support professionals and decision makers alike find their offerings useful and productive. But keeping up with the nuances of Salesforce Sales Cloud can be challenging. And with so many difference perspectives on the platform, where can you turn for unbiased insights? 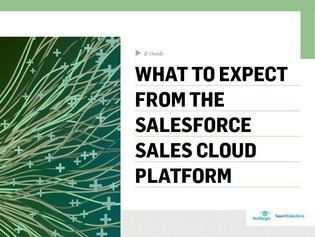 In this expert guide, explore the Salesforce Sales Cloud and what buyers should expect from it. Tap into how it supports lead management, sales teams, user communication, and more.